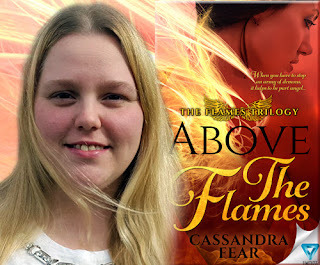 Today we have the pleasure of meeting up with author Cassandra Fear to talk about Above The Flames (19 April 2016, Limitless Publishing LLC, 309 pages), a Young Adult Paranormal Fantasy, book one of The Flames Trilogy series. A very warm welcome to Cassandra Fear; thank you for joining us on BooksChatter. What was the inspiration for Above The Flames? "My inspiration was a dream I had. It was so vivid and exciting that the minute I woke up, I wrote it all down." 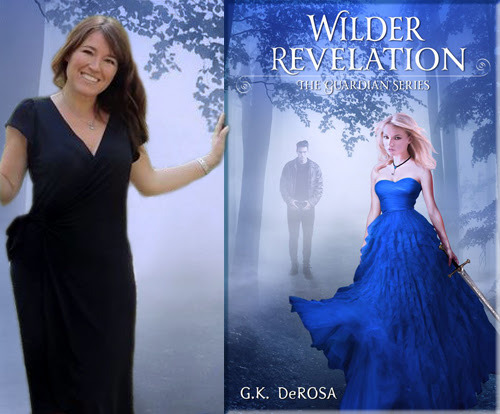 Today we have the pleasure of meeting up with author G.K. DeRosa to talk about Wilder Revelation (21 Feburary 2016, G.K. DeRosa LLC, 346 pages), a Young Adult Paranormal Romance, book three of The Guardian series. 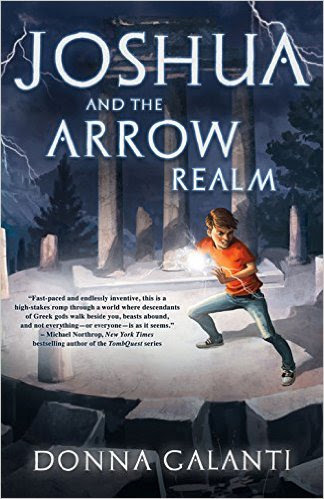 "Abound with magic and danger, this is a roller coaster of an emotional ride. Thank you for joining us on the Virtual Book Tour for Above The Flames, a Young Adult Paranormal Fantasy by Cassandra Fear (19 April 2016, Limitless Publishing LLC, 309 pages). This is the first book in The Flames Trilogy series. Don't miss our interview with author Cassandra Fear. Above The Flames is FREE on Kindle Unlimited and Kindle Owner's Lending Library. 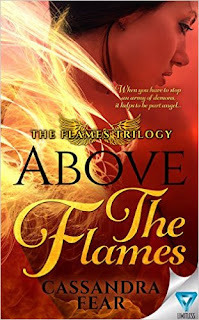 Author Cassandra Fear will be awarding a signed copy of Above The Flames by Cassandra Fear to a randomly drawn winner via Rafflecopter during the tour. Please do take part: comment on our post and follow the tour where you will be able to read other excerpts (☀), interviews (ℚ), reviews (✍) and guest blog posts (✉). 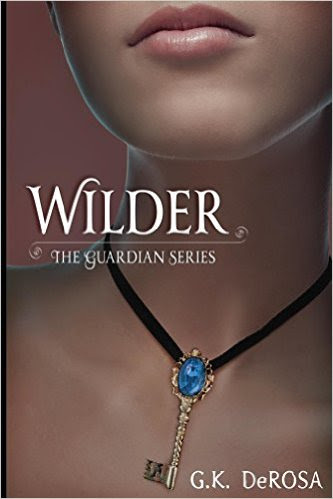 Thank you for joining us on the Virtual Book Tour for Wilder, a Young Adult Paranormal Romance by G.K. DeRosa (12 June 2015, G.K. DeRosa LLC, 362 pages). This is the first book in The Guardian series. This is the third book in The Guardian series. Don't miss our interview with author G.K. DeRosa. PREVIEW: Check out the book's synopsis and excerpt below. Read the Prologue and the first three chapters with Amazon Look Inside. Wilder is FREE on Kindle Unlimited and Kindle Owner's Lending Library. Author G.K. DeRosa will be awarding three print copies of Wilder, and one $25 Amazon gift card to a randomly drawn winners via Rafflecopter during the tour. Please do take part: comment on our post and follow the tour where you will be able to read other excerpts (☀), interviews (ℚ), reviews (✍) and guest blog posts (✉). 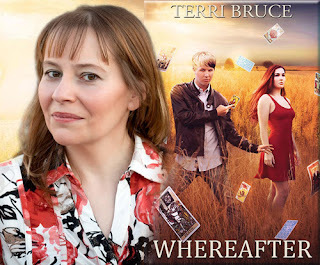 Today we have the pleasure of meeting up with author Terri Bruce to talk about Whereafter (13 March 2016, Mictlan Press, 291 pages), a Contemporary Paranormal Fantasy, book three of Afterlife series. A very warm welcome to Terri Bruce; thank you for joining us on BooksChatter! Here at BooksChatter we love music; do you have a music playlist that you used in Whereafter, or which inspired you whilst you were writing it? 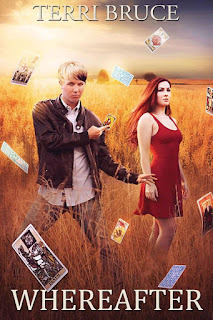 Thank you for joining us on the Virtual Book Tour for Whereafter, a Contemporary Paranormal Fantasy by Terri Bruce (13 March 2016, Mictlan Press, 291 pages). This is the third book in the Afterlife series. Don't miss our interview with author Terri Bruce. Author Terri Bruce will be awarding one $25 Amazon gift card to two randomly drawn winners via Rafflecopter during the tour. Please do take part: comment on our post and follow the tour where you will be able to read other excerpts (☀), interviews (ℚ), reviews (✍) and guest blog posts (✉). 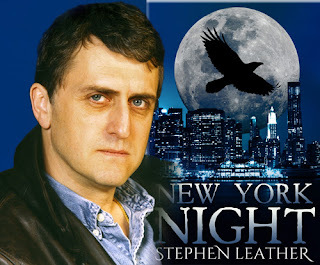 Today we have the pleasure of meeting up with author Stephen Leather to talk about New York Night (9 November 2015, Three Elephants Limited, 292 pages), a Supernatural Thriller, book seven of Jack Nightingale series. 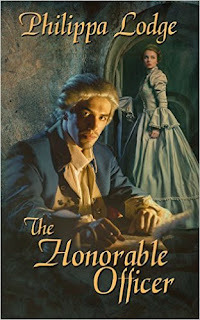 Thank you for joining us on the Virtual Book Tour for The Honorable Officer, a Historical Romance by Philippa Lodge (6 April 2016, The Wild Rose Press, Inc, 253 pages). This is the second book in the Châteaux and Shadows series. Author Philippa Lodge will be awarding a $20 Amazon/BN gift card to a randomly drawn winner via Rafflecopter during the tour. Thank you for joining us for the Release Day Celebrations for The Trouble With Seduction, a Historical Romance by Victoria Hanlen (25 April 2016, Carina, 384 pages). This is the second book in The Trouble With series. Author Victoria Hanlen will be awarding a $25 Amazon/BN gift card to a randomly drawn winner via Rafflecopter during the tour. 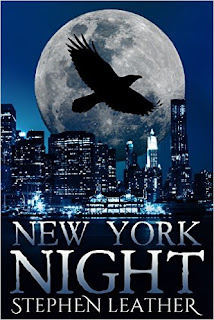 Thank you for joining us on the Virtual Book Tour for New York Night, a Supernatural Thriller by Stephen Leather (9 November 2015,Three Elephants Limited, 292 pages). This is the seventh book in the Jack Nightingale series. Don't miss our interview with author Stephen Leather. PREVIEW: Check out the book's synopsis and excerpt below. Read the first seven chapters with Amazon Look Inside. Author Stephen Leather will be awarding a $50 Amazon/BN gift card to a randomly drawn winner via Rafflecopter during the tour. Please do take part: comment on our post and follow the tour where you will be able to read other excerpts (☀), interviews (ℚ), reviews (✍) and guest blog posts (✉). Today we have the pleasure of meeting up with author Jus Accardo to talk about Released (28 March 2016, Entangled: Embrace, 200 pages), a New Adult Paranormal Romance, book three, the final part of The Eternal Balance series. A very warm welcome to Jus Accardo; thank you for joining us on BooksChatter. As we love music, Jus has shared with us her music playlist for Released, and it's a nice and heavy one - enjoy! 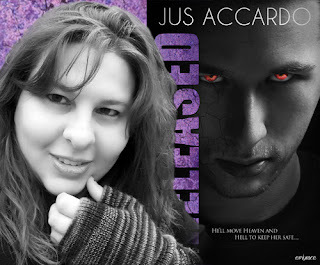 Thank you for joining us on the Virtual Book Tour for Released, a New Adult Paranormal Romance by Jus Accardo (28 March 2016, Entangled: Embrace, 200 pages). This is the third and final book in The Eternal Balance series. Don't miss our interview with author Jus Accardo. Comment on our post and follow the tour where you will be able to read other excerpts (☀) interviews (ℚ), reviews (✍) and guest blog posts (✉). 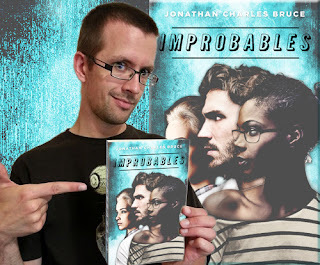 Today we have the pleasure of meeting up with author Jonathan Charles Bruce to talk about Improbables (3 February 2016, BookTrope Editions, 351 pages), a Paranormal Romance. A very warm welcome to Jonathan Charles Bruce; thank you for joining us on BooksChatter and apologies for the delays today! And thank you for sharing your music playlist for Improbables. I could not find two pieces on YouTube; "Welcome to Edgewood" by Nate Fenwick Smith, which is part of the OST for Our Darker Purpose, and "Can’t Let You Go (Apathy Mix)" by Finding Jupiter - just click on the link to listen to them! Enjoy! 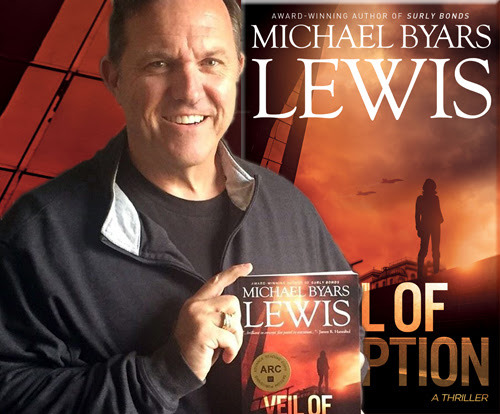 Today we have the pleasure of meeting up with author Michael Byars Lewis to talk about Veil of Deception (17 April 2016, SATCOM Publishing, 444 pages), a Political Thriller, book two in the Captain Jason Conrad series. 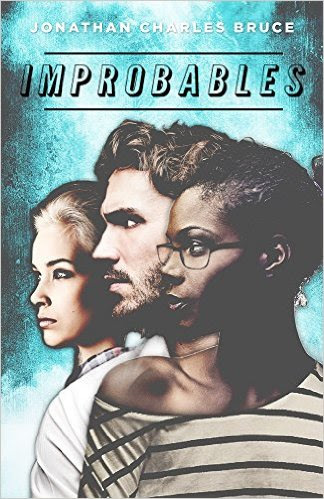 Thank you for joining us on the Virtual Book Tour for Improbables, a Paranormal Romance by Jonathan Charles Bruce (3 February 2016, BookTrope Editions, 351 pages). Don't miss our interview with author Jonathan Charles Bruce. 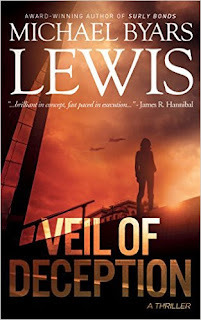 Thank you for joining us on the Virtual Book Tour for Veil of Deception, a Political Thriller by Michael Byars Lewis (17 April 2016, SATCOM Publishing, 444 pages). This is the second book in the Captain Jason Conrad series. Don't miss our interview with author Michael Byars Lewis, tomorrow 22 April 2016! PREVIEW: Check out the book's synopsis, trailer and excerpt below. Author Michael Byars Lewis will be awarding a one e-copy of Veil of Deception to five randomly drawn winners via Rafflecopter during the tour. 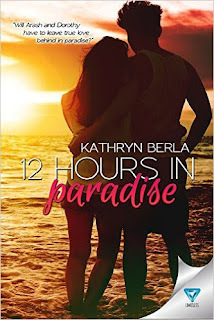 Today we have the pleasure of meeting up with author Kathryn Berla to talk about 12 Hours in Paradise (19 April 2016, Limitless Publishing LLC, 150 pages), a Young Adult Romance. Thank you for joining us on the Virtual Book Tour for 12 Hours in Paradise , a Young Adult Romance by Kathryn Berla (19 April 2016, Limitless Publishing LLC, 150 pages). Don't miss our interview with author Kathryn Berla. 12 Hours in Paradise is FREE on Kindle Unlimited and Kindle Owner's Lending Library. 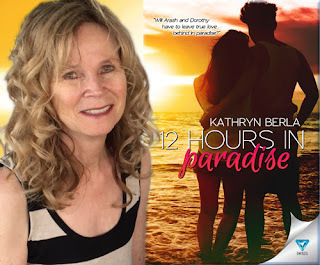 Author Kathryn Berla will be awarding two $25 Amazon Gift Cards, a signed copy of 12 Hours in Paradise to a randomly drawn winners via Rafflecopter during the tour. Today we have the pleasure of meeting up with author Tom and Nancy Wise to talk about Life on Base: Quantico Cave (23 December 2015, Koehler Books, 126 pages), a Middle Grade novel. A very warm welcome to Tom and Nancy Wise; thank you for joining us on BooksChatter! 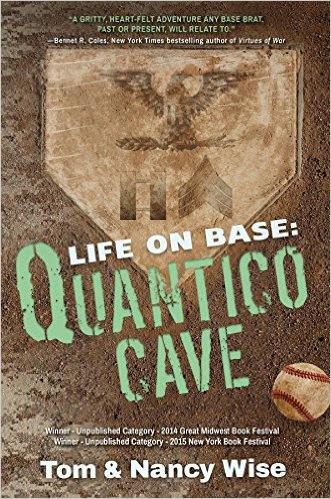 What was the inspiration for Life on Base: Quantico Cave? "We have a great love for our country and respect for the people that serve in our armed forces. 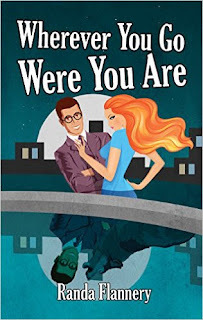 Thank you for joining us on the Virtual Book Tour for Wherever You Go, Were You Are , a Paranormal Comedy Romance by Randa Flannery (7 December 2015, Icasm Press, 260 pages). This is the second book in the Magically Yours series. 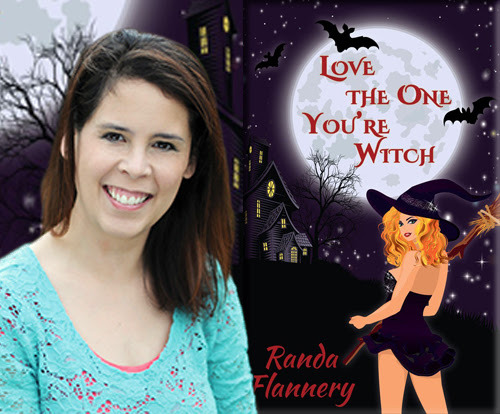 Don't miss our interview with author Randa Flannery, who spoke to us about Love The One You're Witch and the Magically Yours series. Author Randa Flannery will be awarding a $20 Amazon/BN gift card to a randomly drawn winner via Rafflecopter during the tour. Please do take part: comment on our post and follow the tour where you will be able to read other excerpts (☀), and reviews (✍). 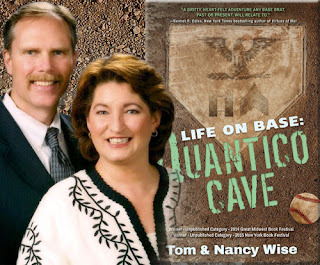 Welcome back for the Virtual Book Tour for Life on Base: Quantico Cave, a Middle Grade novel by Tom and Nancy Wise (23 December 2015, Koehler Books, 126 pages). Don't miss our interview with author Tom and Nancy Wise. PREVIEW: Check out the book's synopsis, trailer and excerpt below. Read the Prologue with Amazon Look Inside. Author Tom and Nancy Wise will be awarding a $20 Amazon gift card to two randomly drawn winners via Rafflecopter during the tour. 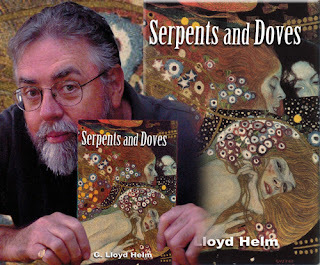 Today we have the pleasure of meeting up with author G. Lloyd Helm to talk about Serpents and Doves (May 2016, Rogue Phoenix Press, TBA pages), a Literary Fiction novel. A very warm welcome to G. Lloyd Helm; thank you for joining us on BooksChatter! What was the inspiration for Serpents and Doves? "My life. 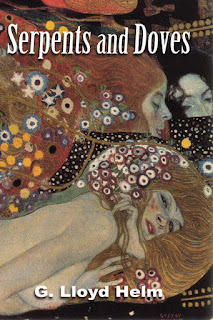 The book Serpents and Doves is fiction, but it runs pretty close to truth." 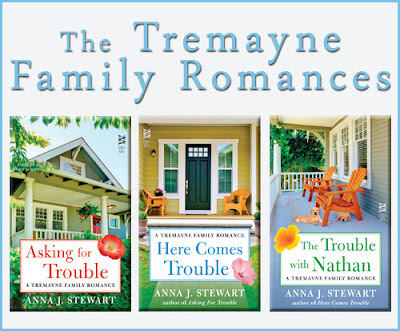 Thank you for joining us on the Release Day Celebrations for The Trouble with Nathan, the third and final book in The Tremayne Family Romances, a Contemporary Romance Series by Anna J Stewart (Intermix). 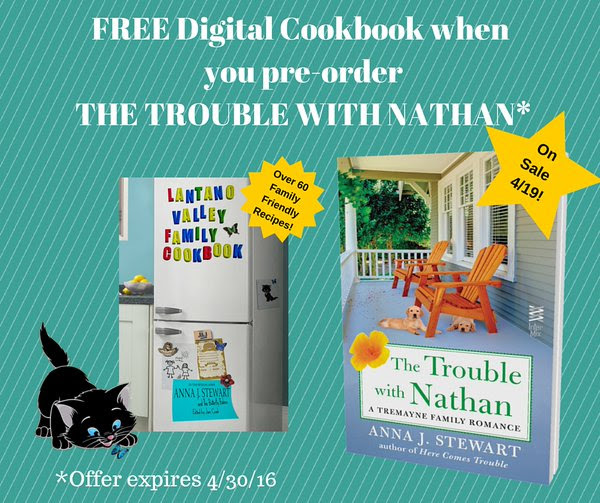 Author Anna J Stewart will be awarding a $15 Amazon/BN gift card to a randomly drawn winner via Rafflecopter during the tour. Please do take part: comment on our post and follow the tour where you will be able to read other excerpts (☀), and reviews (✍). Thank you for joining us on Release Day Celebrations for Emerge, a Young Adult Fantasy Romance by Tobie Easton (19 April 2016, Month9Books, LLC, 300 pages). This is the first book in the Mer Chronicles series. 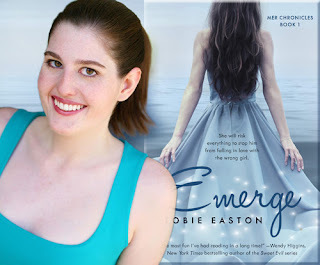 Don't miss our interview with author Tobie Easton. PREVIEW: Check out the book's synopsis and excerpt below. Read a selection of excerpts with Amazon Look Inside. 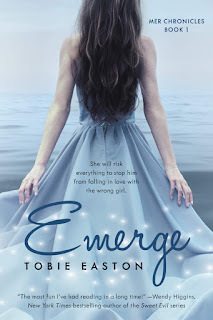 Author Tobie Easton will be awarding an Amazon Fire Tablet (US Only), Emerge stickers and bookmarks, one set of mermaid flash tattoos, a seashell necklace, and a signed paperback of Emerge (US Only), and three digital copies of Emerge by Tobie Easton (INT) to a randomly drawn winners via Rafflecopter during the tour. Please do take part: comment on our post and follow the tour where you will be able to read other interviews (ℚ), reviews (✍) and guest blog posts (✉). Thank you for joining us on the Virtual Book Tour for Serpents and Doves, a Literary Fiction Novel by G. Lloyd Helm (May 2016, Rogue Phoenix Press, TBA pages). Don't miss our interview with author G. Lloyd Helm. Author G. Lloyd Helm will be awarding a paperback copy of Serpents and Doves to ten (10) randomly drawn winners via Rafflecopter during the tour. 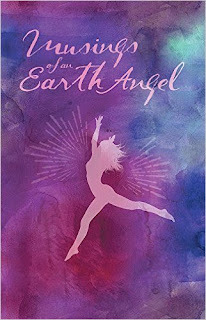 Today we have the pleasure of meeting up with author Suzanne Adams to talk about Musings of an Earth Angel (18 September 2015, Balboa Press, 267 pages), a New Adult Mystical Novel, book one of the Musings of an Earth Angel Trilogy series. Thank you for joining us on the first day of the Virtual Book Tour for Musings of an Earth Angel, a New Adult Mystical Novel by Suzanne Adams (18 September 2015, Balboa Press, 267 pages). This is the first book in the Musings of an Earth Angel Trilogy series. Don't miss our interview with author Suzanne Adams. 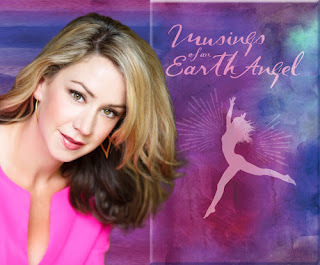 Author Suzanne Adams will be awarding an autographed copy of Musings of an Earth Angel (US only) to a randomly drawn winner via Rafflecopter during the tour. Please do take part: comment on our post and follow the tour where you will be able to read other excerpts (☀), interviews (ℚ), and guest blog posts (✉). Today we have the pleasure of meeting up with author Amanda K. Byrne to talk about Broken Down (12 April 2016, Radiodemon Publishing, 208 pages), a Contemporary Romance, book two of Hidden Scars series. A very warm welcome to Amanda K. Byrne; thank you for joining us on BooksChatter! Here at BooksChatter we love music; do you have a music playlist that you used in Broken Down, or which inspired you whilst you were writing it? "Yes, Broken Down has a playlist! It actually takes its title from one of the songs on the list." 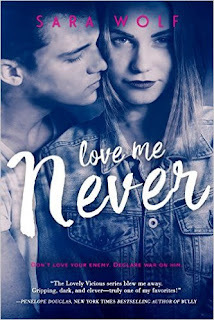 Today we have the pleasure of meeting up with author Sara Wolf to talk about Love Me Never (First published 4 November 2013 as Lovely Vicious; this revised edition 5 April 2016, Entangled: Teen, 304 pages), a Young Adult Contemporary Romance / Dark Comedy, book one of the Lovely Vicious series. Amanda K. Byrne Thank you for joining us on the Virtual Book Tour for Broken Down, a Contemporary Romance by Amanda K. Byrne (12 April 2016, Radiodemon Publishing, 208 pages). This is the second book in the Hidden Scars series. Don't miss our interview with author Amanda K. Byrne. Author Amanda K. Byrne will be awarding two $25 gift cards, winner's choice of vendor, to randomly drawn winners via Rafflecopter during the tour. Please do take part: comment on our post and follow the tour where you will be able to read other excerpts (☀), interviews (ℚ), reviews (✍) and guest blog posts (✉). 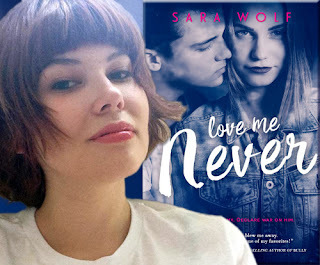 Thank you for joining us on the Virtual Book Tour for Love Me Never, a Young Adult Contemporary Romance / Dark Comedy by Sara Wolf (First published 4 November 2013 as Lovely Vicious; this revised edition 5 April 2016, Entangled: Teen, 304 pages). This is the fist book in the Lovely Vicious series. Don't miss our interview with author Sara Wolf. PREVIEW: Check out the book's synopsis, trailer, teasers and excerpt below. Read the first chapter with Amazon Look Inside. Author Sara Wolf will be awarding a $50 Amazon gift card to a randomly drawn winner via Rafflecopter during the tour. Please do take part: comment on our post and follow the tour where you will be able to read other excerpts (☀), interviews (ℚ), reviews (✍) and guest blog posts (✉). 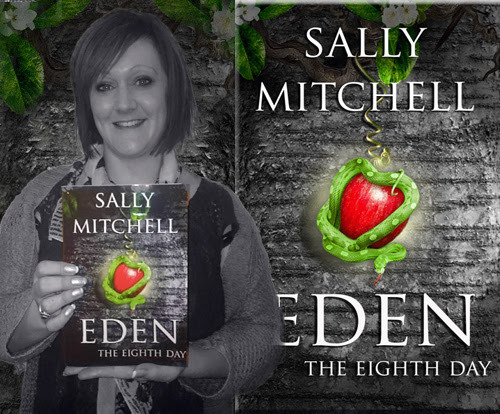 Today we have the pleasure of meeting up with author Sally Mitchell to talk about The Eighth Day (12 April 2016, Matador, 275 pages), a Dystopian Fantasy, book one of The Eden Saga series. A very warm welcome to Sally Mitchell; thank you for joining us on BooksChatter! What was the inspiration for Eden: The Eighth Day? "Astrology was the main inspiration behind ‘The Eden Saga’. I had read a number of articles that suggested as a new author it would be helpful to write about what you know. Thank you for joining us for the Release Week Celebrations for Everdeep, a Young Adult Paranormal Romance by Candace Knoebel (12 April 2016, Candace Knoebel, 298 pages). This is the fourth book in The Night Watchmen series - find below details about each book in the series. Everdeep is FREE on Kindle Unlimited and Kindle Owner's Lending Library. Author Candace Knoebel will be awarding a $20 Amazon gift card to a randomly drawn winner via Rafflecopter during the tour. Author Donna Galanti will be awarding a $10 Amazon gift card to a randomly drawn winner via Rafflecopter during the tour.